You can help the National Trust for Historic Preservation raise awareness for Historic Preservation HERE. On a sadder note, The Serbian Orthodox Cathedral of Saint Sava - Саборнa црквa Светог Саве in Manhattan burned down yesterday. HERE is a link to their website where you can see the terrible damage and donate to help them rebuild. It was an amazing building filled with beautiful artwork and this devastating fire is a tremendous loss for those who love church architecture. "The Serbian Orthodox Cathedral of St. Sava, formerly known as Trinity Chapel, (Trinity church on Downtown, Wall Street) was purchased from the Episcopal Diocese in New York in 1943 and consecrated in 1944. 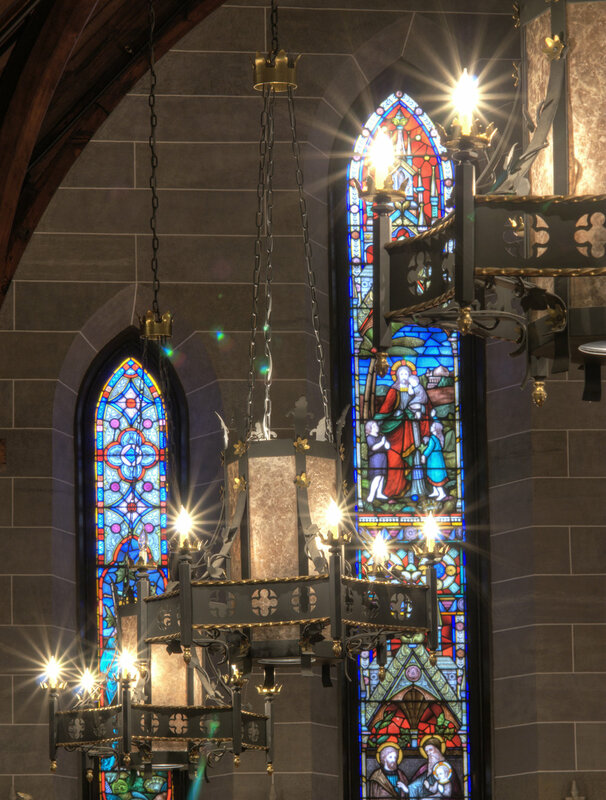 Trinity Chapel, built to serve the “uptown” Episcopal community and designed in 1850 by celebrated architect Richard M. Upjohn in the Gothic Revival style, was consecrated by Trinity Church (Wall Street) in 1855. Trinity Chapel was an active Episcopal Church community for a number of decades until 1915, when the area became commercial and parishioners began to relocate farther north. In 1942, the Trinity Corporation opted to sell Trinity Chapel, the Parish Hall, designed by J. Wrey Mould as Trinity Chapel School, and adjoining rectory. It should be noted that an extraordinary event took place at Trinity Chapel in 1865, when for the very first time an Orthodox liturgy was held in an Episcopal church in America – an event the New York Times referred to as an “un-usual historic happening,” the “Inauguration of the Russian-Greek Church in America.” Celebrated American writer Edith Wharton (Jones) married socialite Edward Wharton in 1885 in Trinity Chapel; she was later to immortalize the church in her famous novel of Victorian New York, The Age of Innocence." Here are some photos of Christ Church in Raleigh designed by Richard M. Upjohn's father Richard Upjohn. Brad Farlow was the architect for this renovation in 2001.